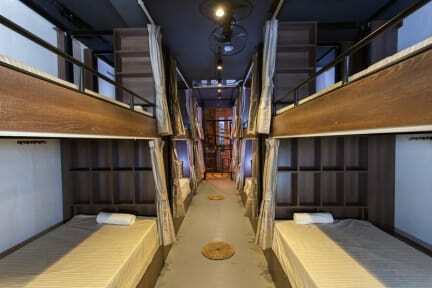 Luxury backpackers is the best of the 3 hostels I stayed at in Hanoi. The accommodations are great (2 showers with great water pressure and hot water per room), the location is great and the staff is super helpful with everything. Overall best hostel experience so far in Hanoi! James and dung very helpful boys at the reception. They speak fantastic English and make it very easy to navigate through the hostel. Facilities are clean and worth every cent. Highly recommended!! 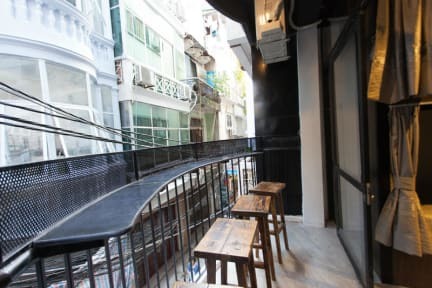 Staff very good, friendly ,James good man in this hostel helped me booking trip to Ha long bay and Sapa trekking , I would like recommend to any one. Great hostel, one of the nicest I've stayed in yet. Beds are big and comfy, huge lockers with built in locks. The breakfast is great. The staff are really friendly and helpful. Special thanks to James for setting us up with our trips to Sapa and Ha Long Bay. I stayed in a private room and it was super clean and included several amenities I didn't expect (toothbrush, toothpaste, free waters every night, etc). The staff were all very pleasant and the check in and check out process was seamless. Would definitely come back. Very nice stay in Luxury Backpacker's hostel ! The place is super quiet in the middle of the city. Accomodations are really enjoyable with a sense of privacy even in a 12 beds' dormatory thanks to the curtains ! Nice and efficient staff, i'll come back ! Was a very nice stay and the rooms were great, clean and comfortable. Main downside is the hostel is lacking a common room. Overall a really really awesome hostel! Definitely suits its name! I only have minor things that brought my rating down and that being that the location wasn’t amazing; wasn’t bad; just not right in the centre of things. There wasn’t any atmosphere at all but I do wonder if this had to do with the time of our visit as the whole of Hanoi was a bit quieter than usual. Also majority of the staff were very friendly and helpful but one guy was quite pushy with wanting us to book tours with him.